Infuriated by the MUTANTS’ excuse that the Sword of Omens is invincible, MUMM-RA summons HACHIMAN, a legendary Samurai, and his sword, the Thunder-Cutter. He deceives HACHIMAN into believing that LION-O is evil. HACHIMAN confronts LION-O while the THUNDERCAT is en route to the Warrior Maiden’s Kingdom with NAYDA. They engage in a fierce contest of egos and NAYDA saves them both from destruction. Even this narrow escape does not prevent LION-O and HACHIMAN from continuing their confrontation—but neither the Sword of Omens or the Thunder-Cutter will obey its master. LION-O and HACHIMAN realize that they are both honorable and that HACHIMAN has been deceived by MUMM-RA. They join forces, only to be attacked by S-S-SLITHE and MONKIAN in SkyCutters. They capture S-S-SLITHE and take him to the Treetop Kingdom . 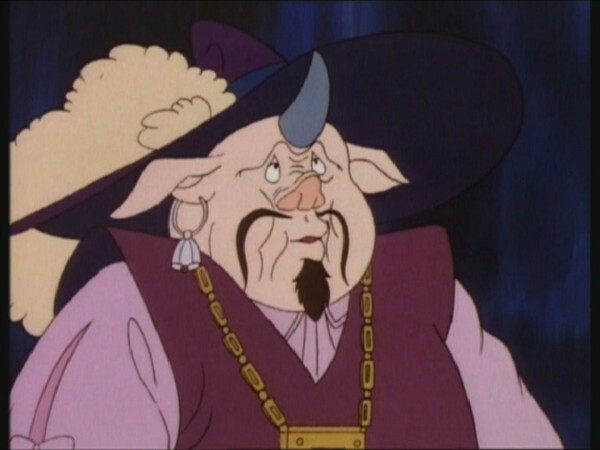 MUMM-RA summons a NINJA who assumes the form of GUMLA the TABBUT and infiltrates the Treetop Kingdom by pretending to negotiate for S-S-SLITHE’s release. During the night, he transforms himself back into the NINJA, arms S-S-SLITHE and warns that the MUTANTS will attack at dawn. The NINJA now attempts to destroy HACHIMAN, using NAYDA as a hostage. She neutralizes his bargaining power by diving toward the ground, oblivious to the mortal danger. 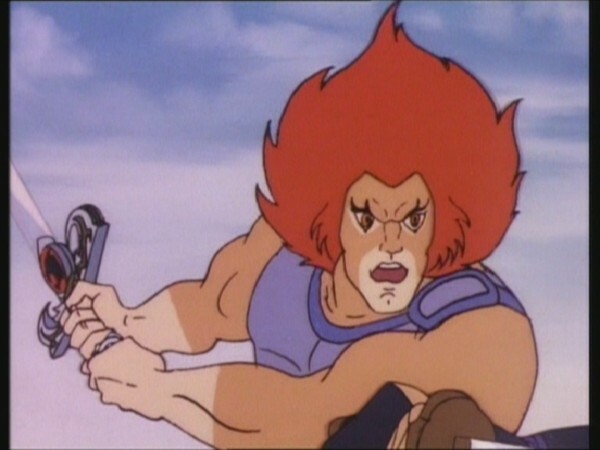 LION-O hurls the Sword of Omens at a tree trunk. The Sword sticks and NAYDA saves herself by grasping the hilt. LION-O, HACHIMAN, the WARRIOR MAIDENS and the THUNDERCATS defeat the MUTANT’s attack. Honor is excellence of character, aspects of which include dignity, integrity, courage, and pride. In this episode, Lion-O, who lives by the Code of Thundera, meets the Samurai, Hachiman, who also lives by a code that includes honor. The honor of Hachiman, however, is almost subverted by the deception of Mumm-Ra, who attempts to have him and his sword fight on the side of evil against Lion-O and the Code of Thundera. During the course of their encounter, Lion-O and Hachiman, blinded by a false bravado, lose their perspective and engage in a duel. Neither claims he can back down and maintain respect and honor. But true honor is not a confrontation, which ignores the rightness, justice, and truth of one’s actions. In a stand-off in which these principles are ignored, no one wins. Were it not for the practical good sense of Nayda, both Lion-O and Hachiman would have perished for a distorted notion of honor. They are brought to their senses by the power of their swords, which are unable to be used for evil purposes. Reminded of true honor, they join forces and persevere against Mumm-Ra, the Mutants, and the honorless Ninja. In our lives, we must be careful to learn the real definition of honor, which involves reference to rightness, justice, and truth. We must be on guard so that we do not fall victim to a false bravado, which ignores judgments about the purposes of our actions. Perhaps one of the most appealing things about a sci-fi/fantasy hybrid animated series such as ThunderCats is that, at least theoretically, there are very few concepts, ideas and elements that the writers can’t explore. Throughout the course of the ThunderCats series, a wealth of different concepts and styles would be experimented with, with varying degrees of success. Some of these ideas would work brilliantly, others would be complete misfires, some would be surprising failures and others unlikely success stories. This episode probably falls into the last category. Bridging the disparate worlds of feudal Japan and Third Earth is one such unlikely storytelling union. With the heavy emphasis on classic fantasy-style storytelling in ThunderCats, to introduce Samurais, ninjas and other Japanese influences would seem like a bizarre concept. And yet, that is exactly what “The Thunder-Cutter” does, introducing the character of Hachiman, the honor-bound Samurai warrior whose devotion to the Bushido code both empowers and restrains him. 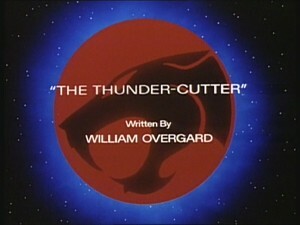 With this episode having been penned by William Overgard, widely regarded by ThunderCats fans as the show’s weakest regular writer, it would not be unreasonable to expect this episode to be truly awful. Yet, like many of Overgard’s Season One offerings, it manages to escape that tag and deliver a really entertaining story. 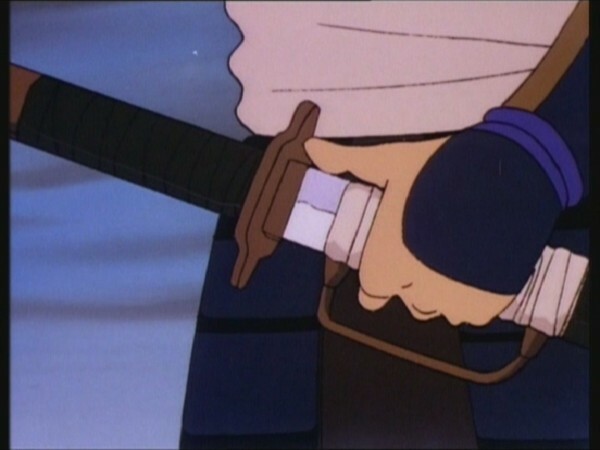 Part of what makes this episode so good is the unique and believable concept of Mumm-Ra wanting to take away the ThunderCats’ greatest weapon, the Sword of Omens, by pitting it against what he perceives as a mightier sword, in this case Hachiman’s Thunder-Cutter. 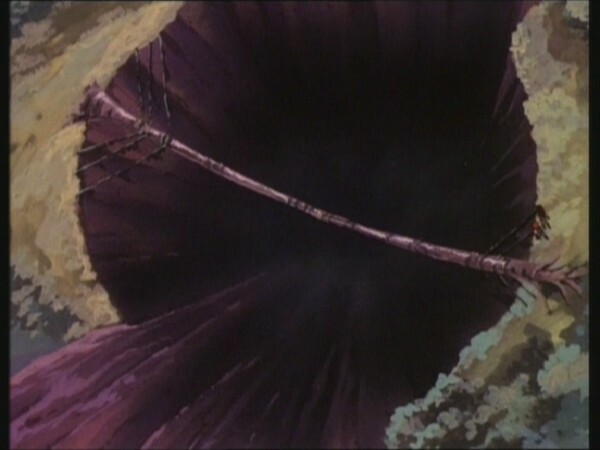 Whilst this concept would be better explored in “Excalibur”, this episode benefits from going there first. Another crucial factor in this episode’s success is the character of Hachiman himself. Whilst it would have been easy for Mumm-Ra to summon a generic evil Samurai character, in Hachiman we find added complexity. He is fundamentally a good man, but his code of honor, which gives him the strength to act and provides him with a framework for his sense of self, is his also great weakness, compelling him to act sometimes against his own better judgement. Throughout the course of this episode, Hachiman is a compelling character, not just for his swordsmanship and daring-do, but also because of his volatile and unpredictable nature. 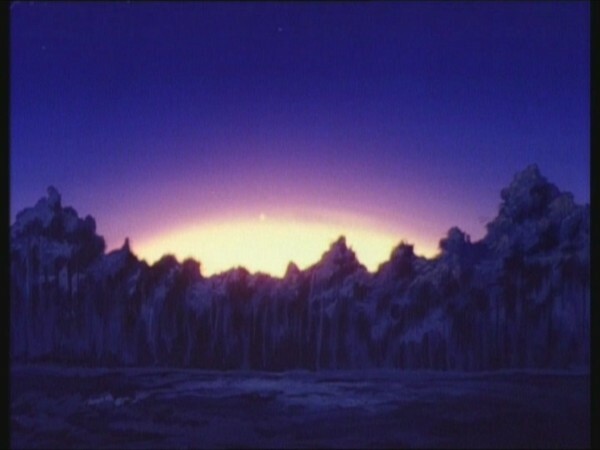 One of the most memorable scenes from this episode is when Hachiman and Lion-O face off against each other atop the log overhanging the Four Day Drop, in what can only be described as a “Robin Hood and Little John” moment! As with that fabled pairing, Lion-O and Hachiman gain a respect for each other following their clash. However, it is worth noting that this scene actually represents something of a step backwards for Lion-O’s character in terms of his maturity, harking back to the Lion-O we first met in some of the series’ earliest episodes. 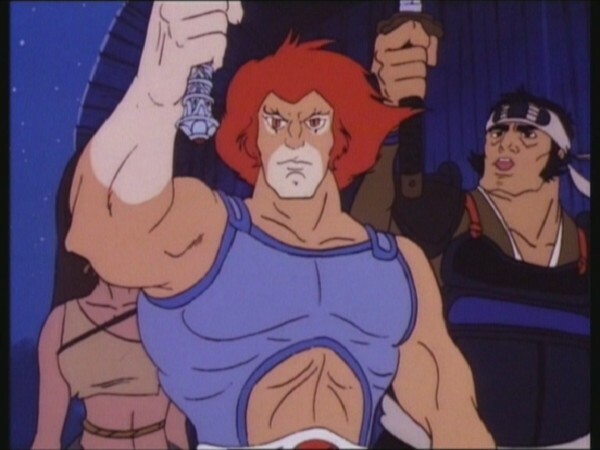 In those early stories, Lion-O was full of fierce pride in his position and title, to the point where the audience could clearly see that his pride had the potential to land him in trouble. 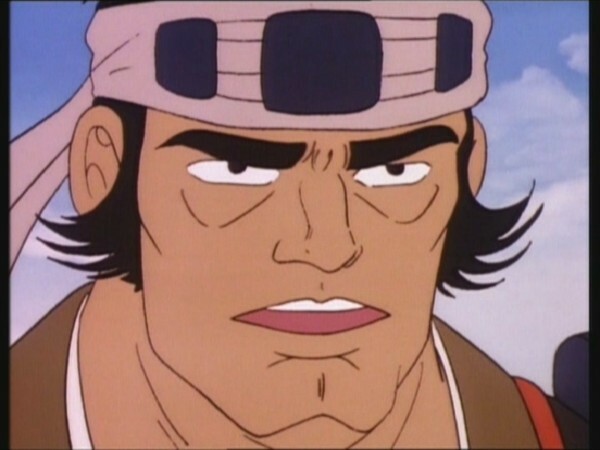 In this episode, Lion-O’s pride is affronted by the superior taunts of Hachiman, and he reacts impulsively and angrily, hacking away at the log beneath him with a suicidal desire to prove himself the bigger man against the Samurai. As such, whilst this is a brief lapse for Lion-O, nonetheless this episode almost feels as though it should take place earlier in the series, before some of the character development that Lion-O enjoys. Visually, this episode is highly evocative of feudal Japan, with much of the action taking place in a forest setting. Indeed, having much of the episode take place in the Warrior Maidens’ Treetop Kingdom is a masterstroke, naturally providing the perfect backdrop in a way that does not seem forced, because it’s a location that the audience has seen before. 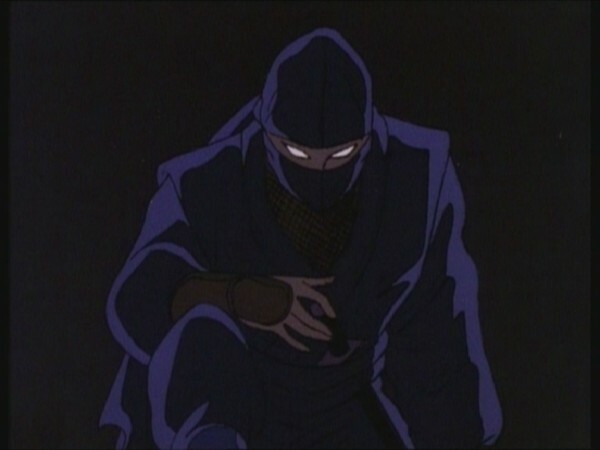 Another notable element of this episode is the introduction of the Ninja, a character that would make its only appearance in this episode. In Japanese history and mythology, ninjas are covert assassins, and the dark and mysterious aura that surrounds them in fiction is something that is put to good effect in this episode, when Mumm-Ra’s mystical ninja faces off against the Samurai Hachiman. Does this episode work? Surprisingly, to a large extent, yes. 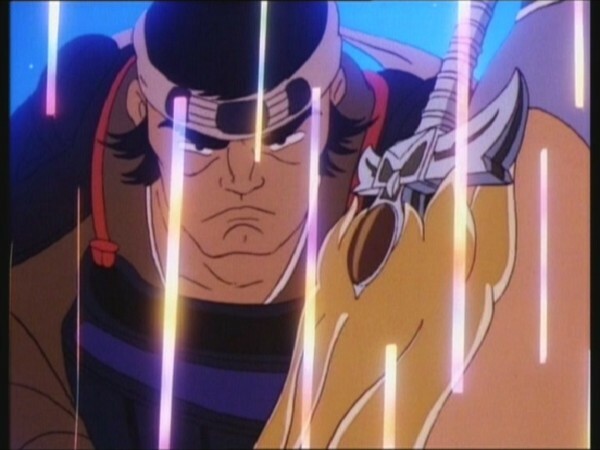 Although there are those who would, very credibly, argue that introducing Samurais and ninjas into ThunderCats is stretching things just a little too far, somehow the execution of this episode allows it to rise above these arguments and allows it to flourish as a good, solid, if slightly unspectacular tale. Unfortunately, many future experiments within the series would not work as well, particularly when those experiments emanated from the pen of William Overgard. Yet somehow, against all the odds, this episode manages to pull it off. 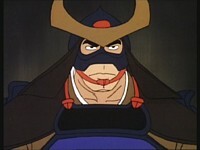 This episode marks the first appearance of the Samurai warrior Hachiman. 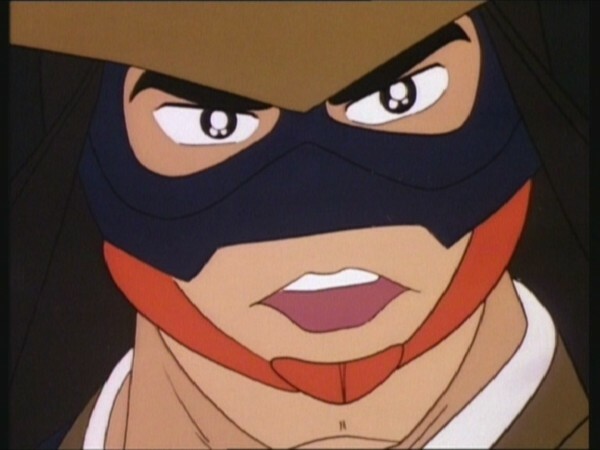 Although this would be Hachiman’s only featured appearance in Season One, he would go on to enjoy a prominent role in “ThunderCats Ho!”, “Hachiman’s Honor” and “The Jade Dragon”. 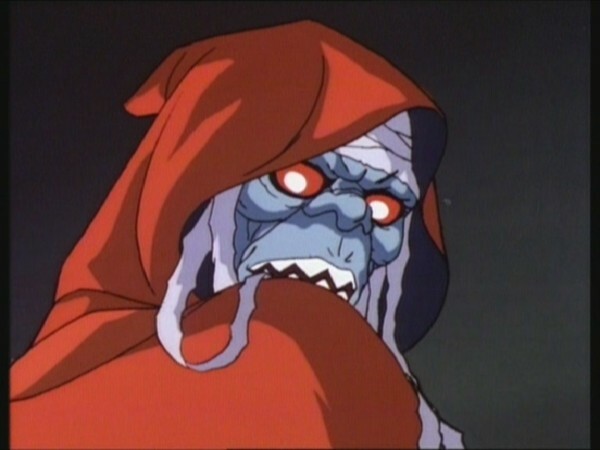 The images of the ThunderCats that Mumm-Ra shows Hachiman via his cauldron are all taken from the show’s opening sequence! When Nayda and the ThunderCats are discussing the new warning system device at Cats’ Lair, Panthro remarks that it can take three days to get from Cats’ Lair to the Warrior Maidens’ Treetop Kingdom, whereas in other episodes this journey would appear to be significantly shorter. 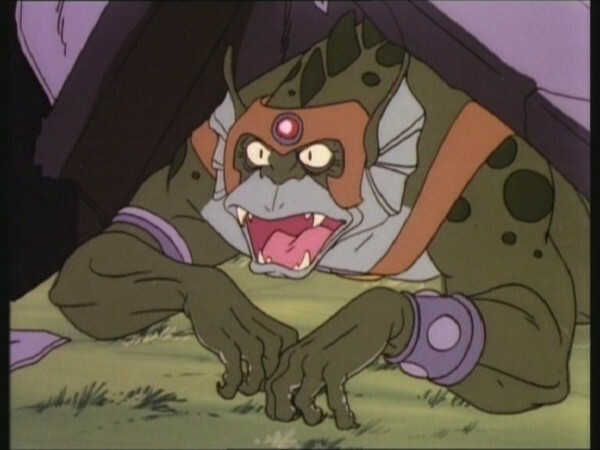 The animation of the ThunderCats reacting and responding to Lion-O’s summons is actually taken from the earlier episode “Mandora – The Evil Chaser”. A couple of sequences have been reanimated against a nighttime background to reflect the different time of day in this scene, but a few shots that made it into the final sequence are still set in daylight, meaning that in this sequence the time of day shifts from shot to shot! This episode was featured as the “bonus episode” on the F.H.E. Home Video release of “The Ghost Warrior”.